© 2019 Mat Scholes. All rights reserved. 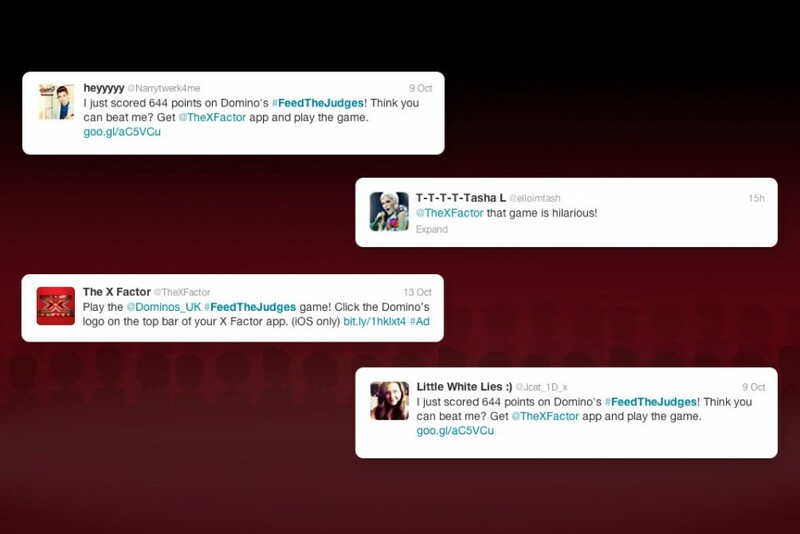 Domino’s Pizza sponsored the 2013 X Factor TV show and wanted to create ways of engaging fans during the show, as well as during down time via the app. 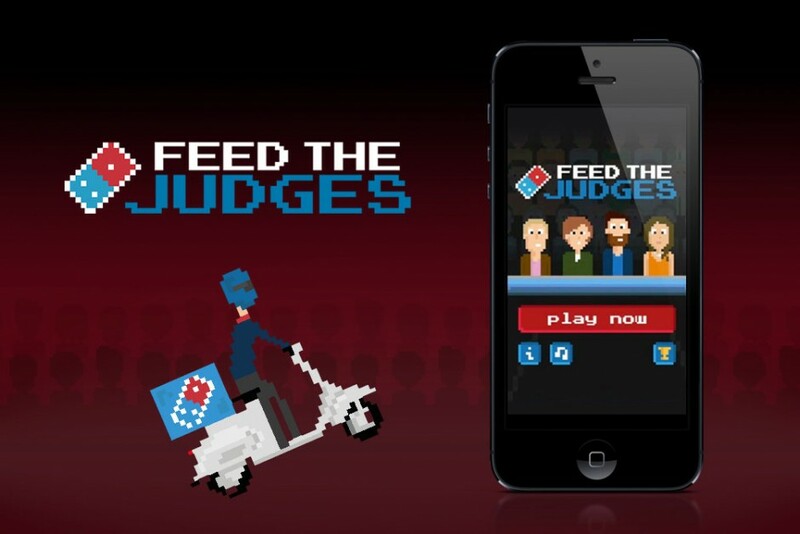 We created a cheeky little game featuring a panel of judges that bear a strong likeness to the actual judges. The aim of the game was simple; flick the correct food each judge desires at their face before they sit down to keep them happy. 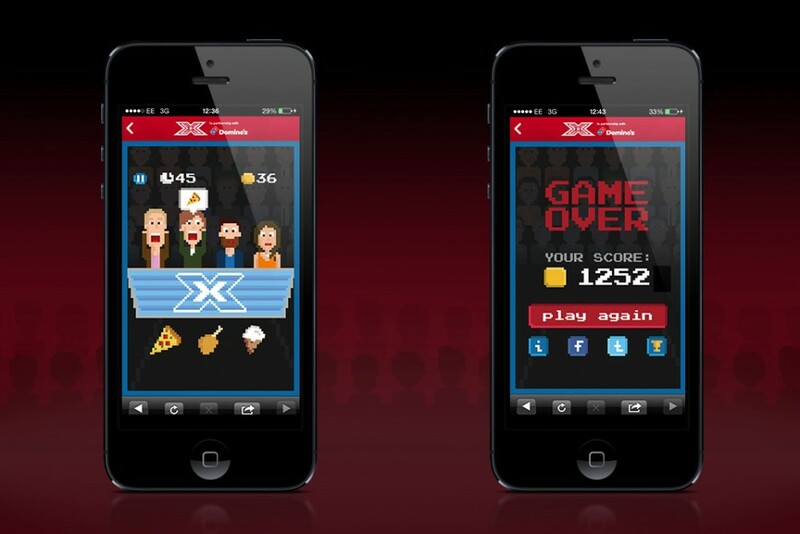 In the 5 weeks the game was live, our retro 8-bit style game helped us achieve a huge boost in social media buzz and attracted 50,000 unique players, clocking up over 500 hours worth of game time. That’s a lot of well-fed judges!